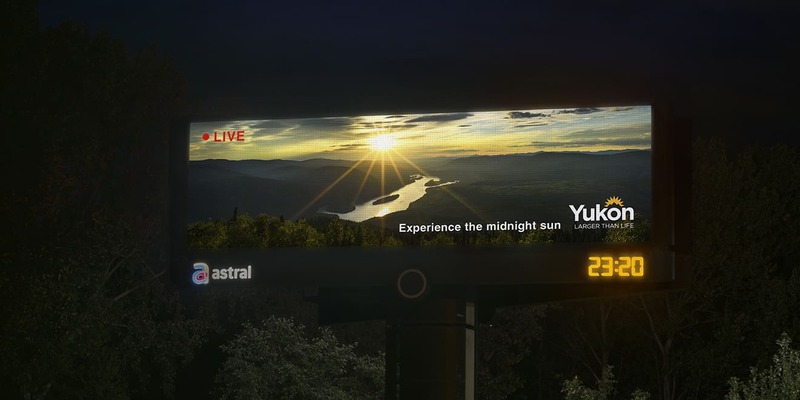 After 11 p.m. in Vancouver, the Yukon billboard begins livestreaming footage of the midnight sun. 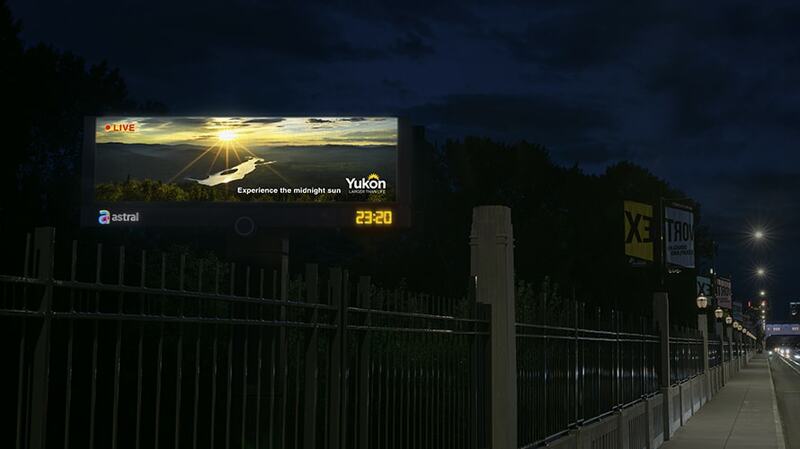 Tourism Yukon in Canada is leaving the light on for its neighbors to the south with this real-time video billboard campaign from agency Cossette and Astral Out of Home. At 11 p.m., after sundown in Vancouver, the billboards spring to life for a couple of hours, streaming live footage of the still-bright sky and epic natural beauty outside Dawson City, Yukon. At that location, 175 miles from the Arctic Circle, the summer sun sinks, but never quite sets. Alas, the job of capturing live Steadicam footage for the billboard—handled by real live human Alistair Maitland—sounds more like drudgery than adventure. “We had to find a photographer that was keen to work from 10:30 p.m. to 1:30 a.m. every night of the week, including weekends, in a remote location with minimal Wi-Fi signal,” says agency art director Kelsey Hughes. After that, he’ll need a vacation. We hear the Yukon is pretty nice this time of year.